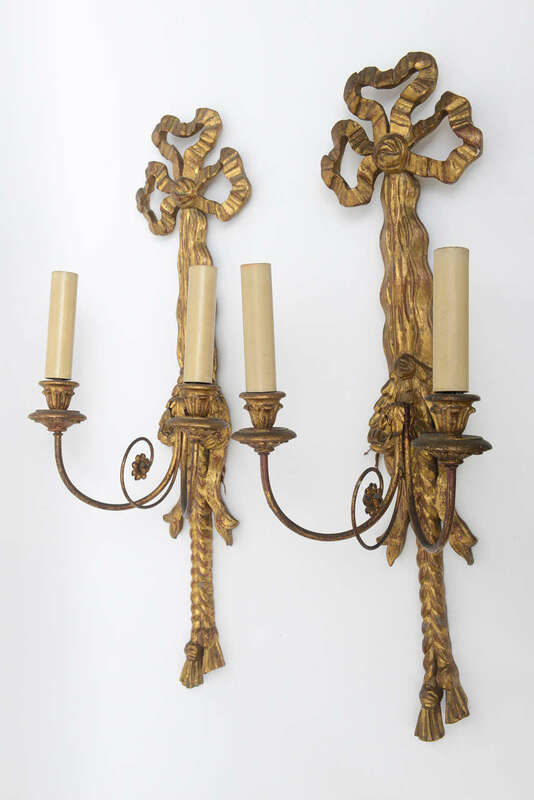 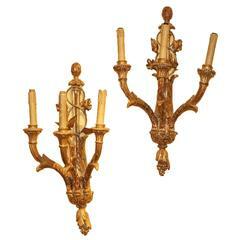 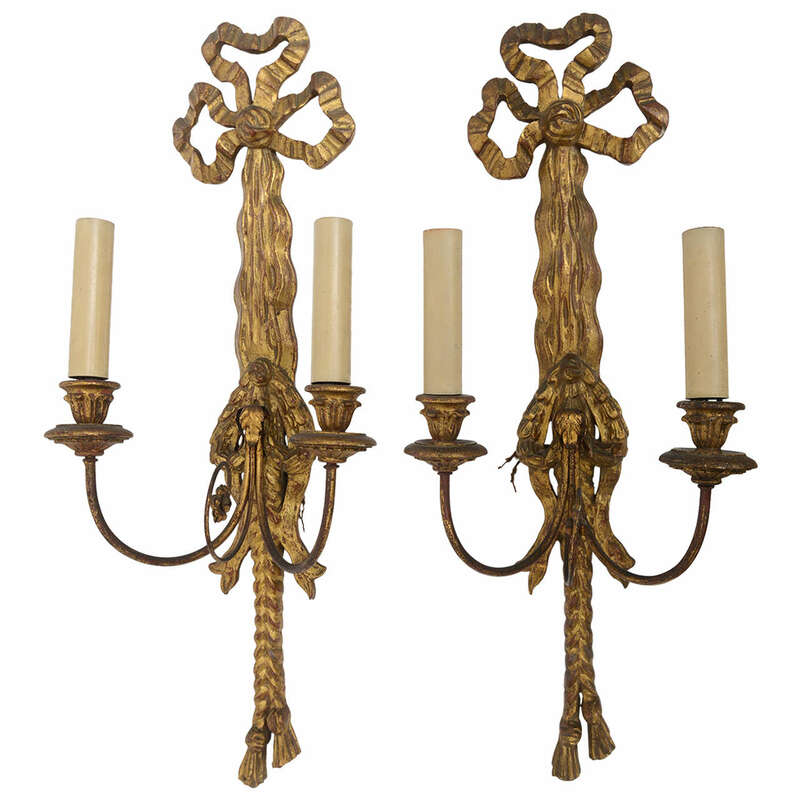 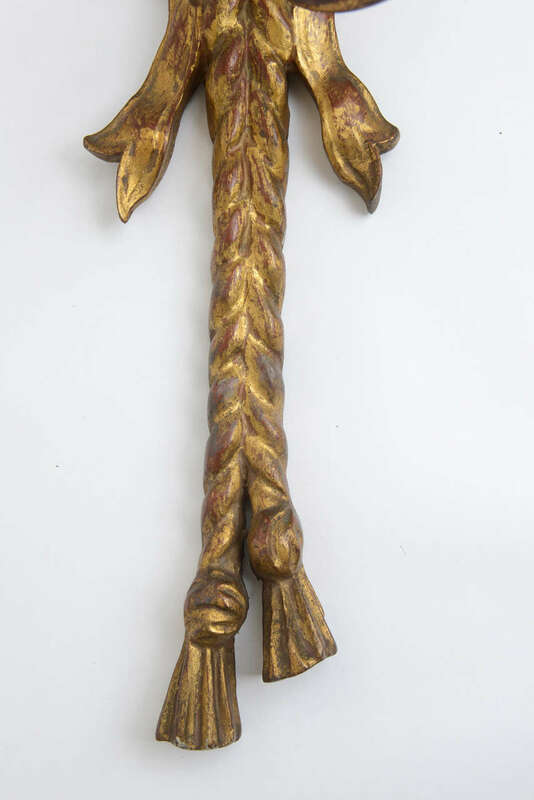 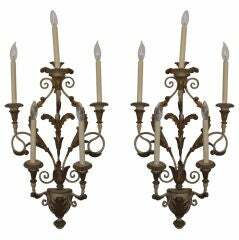 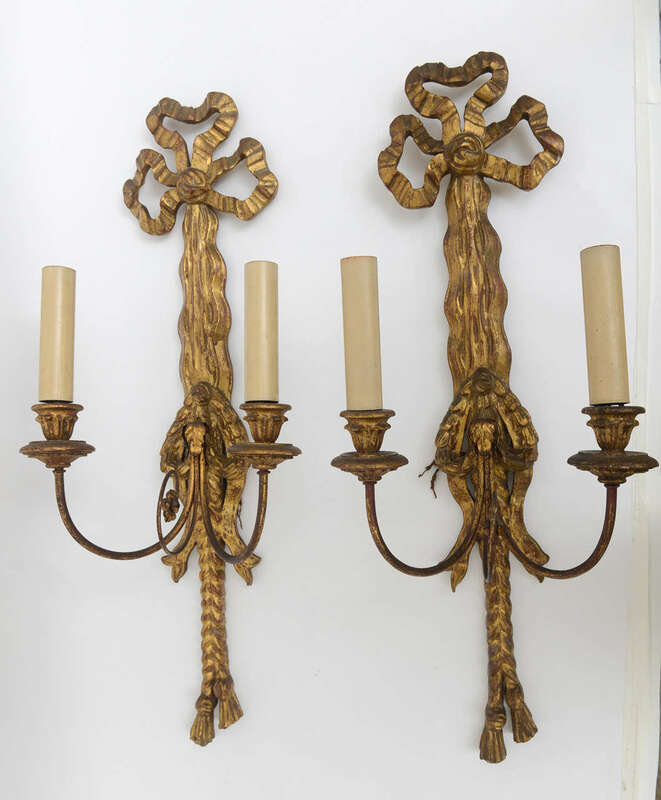 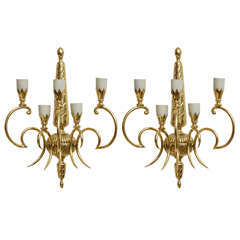 1930s pair of hand-carved wood detailed and brass, two-arm candlestick sconces. 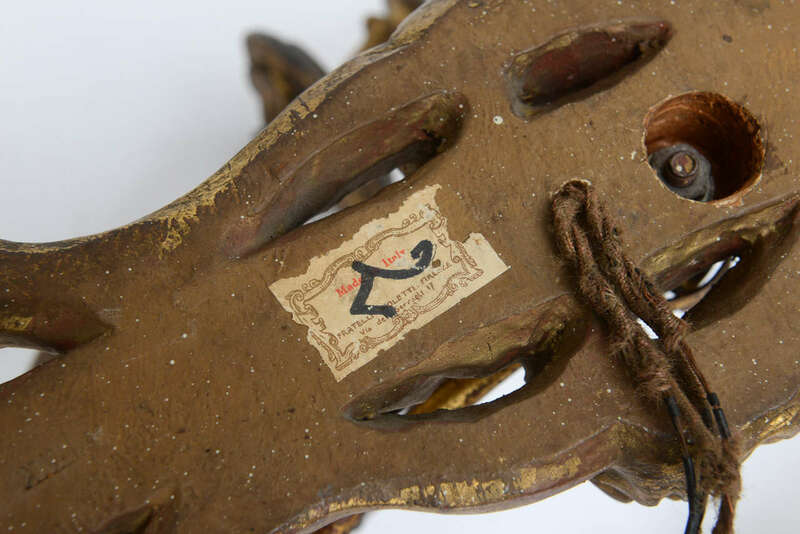 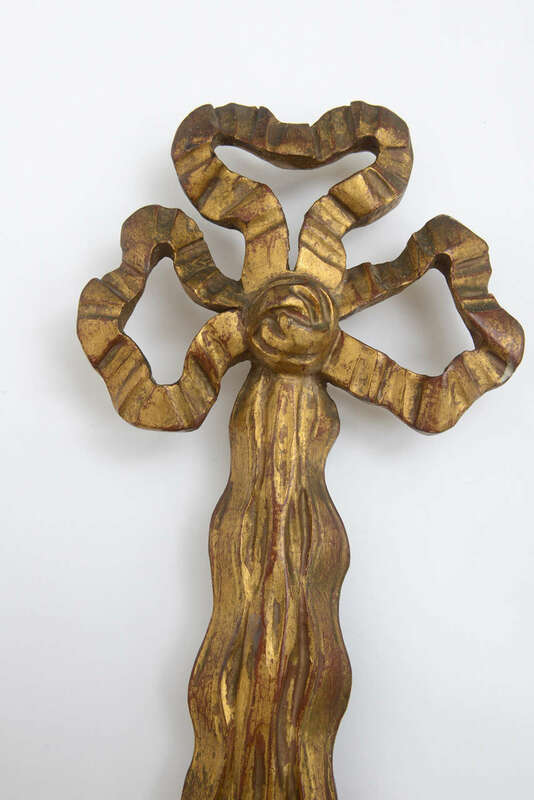 Hand-carved wood tassel-roped details, with crimped, festooned bows. 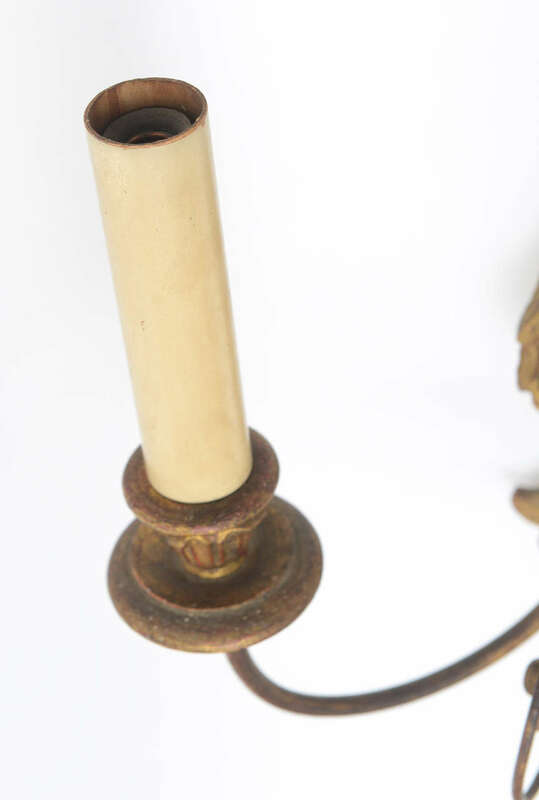 Newly re-wired and in working condition. 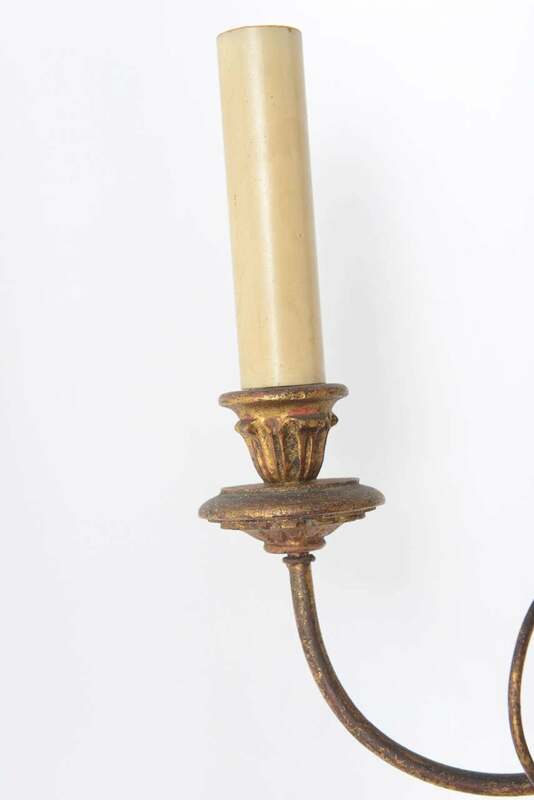 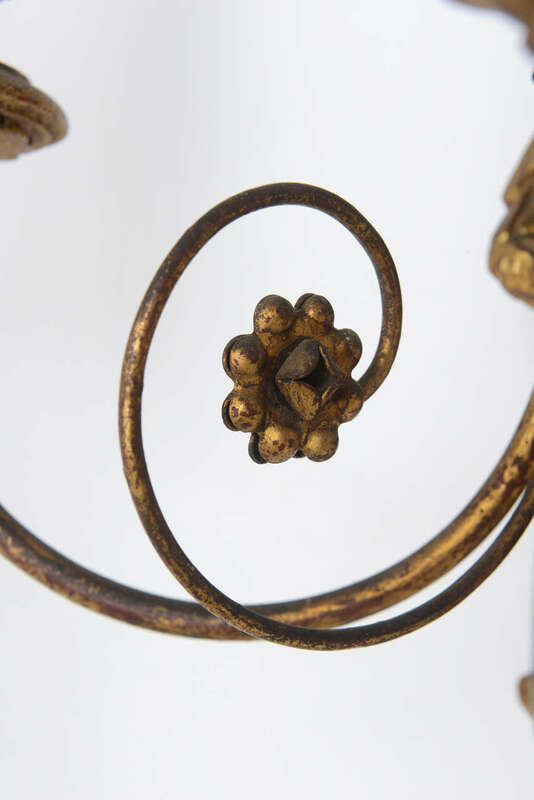 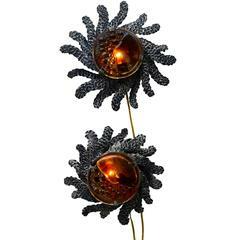 Brass elements are the looped arm extensions of the candlestick lighting mechanism and socket base.